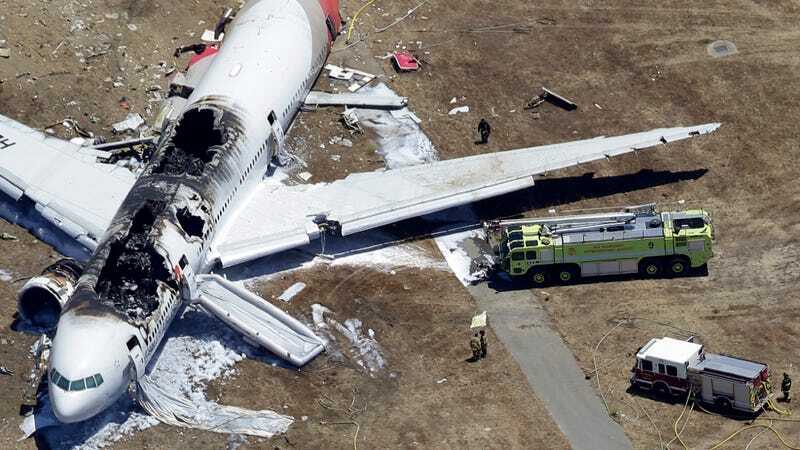 Last month, Asiana Air Flight 214 crashed on landing at San Francisco International Airport. Three people died in the crash and in the aftermath. Asiana will be paying $10,000 to each and every survivor. And they could end up paying more. There were 288 passengers who survived the crash, and each and every one of them are eligible for the $10,000 payout. An Asiana spokeswoman said that they will give them the money whether they went to the hospital or not. The people who receive the settlement are still able to sue the airline for more money, which I bet will probably happen for many people who were injured or suffered trauma after the crash. Asiana's stock price has dropped markedly since the crash, down to levels last seen in 2010.